Hello! 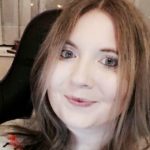 My name’s Katherine (or Kat), I’m a fiction editor, and I love words. I’ve been writing and editing for almost fifteen years (and if you tell me I don’t look old enough, I might give you a discount). My entire life has been based around words and helping writers to communicate. I spent around ten years working as a journalist. First, I was a reporter for DC Thomson (you’ve probably heard of them; they’re responsible for the Sunday Post and the Beano), and latterly I worked as a sub-editor and chief sub-editor of award-winning newspaper the Press and Journal. I also worked as a senior media officer for Grampian Police, where I was involved with the communications strategy for high-profile cases, including murder inquiries. 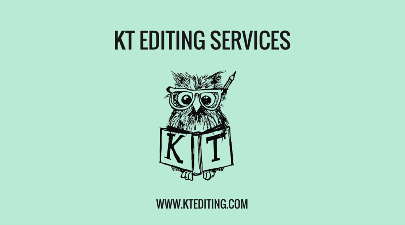 My desire to help authors tell their stories led me to take the plunge and set up my own fiction editing business in May 2015. Since then, I have worked on Amazon bestsellers and novels that have gone on to be published by one of the ‘big five‘ publishers. I’m a lifelong learner; planning out my continuing professional development for the twelve months ahead is one of my favourite times of the year. I also enjoy training and mentoring others. I am also a tutor on the SfEP Introduction to Fiction Editing course. I’m fortunate enough to be part of an international editorial collective with four editor colleagues, all of whom are excellent at what they do. Together, we are able to offer authors a huge range of services and specialist areas of knowledge. If I can’t help you, I’m sure to know someone who can. I live in the north-east of Scotland with my partner and our cocker spaniel, Daisy (who doubles as my editorial assistant), and when not editing, I’m usually buried in a book (typically fiction, but I also really enjoy historical biographies), lurking on Twitter, or swimming. I also play the piano and enjoy a bit of writing – mostly in the form of my blog and guides for writers. P.S. Daisy the Editing Spaniel has her own page and Instagram account! I’m very impressed by the high standard of Katherine’s editing. She has a very good eye for detail and offered constructive feedback. I will be using her again for sure.